X- and Y-axis font size control: you’ll now find the text size slider under the X-Axis and Y-Axis cards in the formatting pane. Cartesian chart minimum category width: If you want to guarantee that your data labels show, you can now set the minimum width of categories and the font size in You’ll find the setting under the X-axis card for column, line, and waterfall charts, and under the Y-axis for bar charts. Line chart line thickness and join type controls: Under the Shapes card in the formatting pane, you can use the stroke width feature to make your lines thicker. 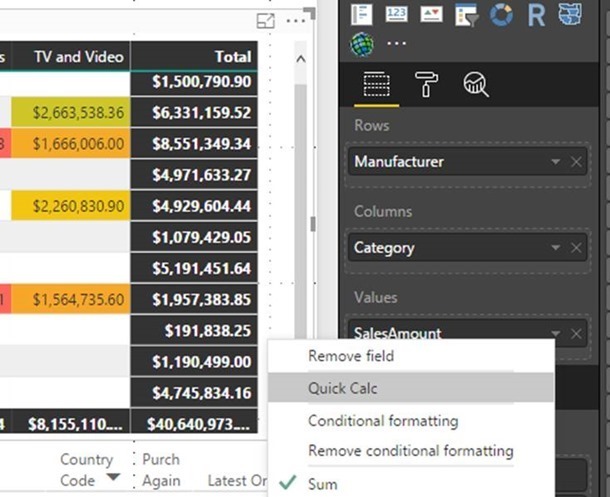 2 new Quick Calcs: Percent of row total & percent of column total: Under Show value as, you’ll see Percent of column total and Percent of row total in addition to the Percent of grand total we released a while ago. ODBC and OLE DB connectors: support for selecting related tables: enabled the Select Related Tables button in the Navigator dialog when using the ODBC and OLE DB connectors. Enhanced Folder connector: support for combining binaries from the Preview dialog: You can choose to combine multiple files from the folder preview dialog within the Get Data flow, bypassing the Query Editor. Unified text & CSV connectors: Converted the importing Text and CSV files into a single Text/CSV entry point. This new entry point can be found in the Get Data dialog, under the Files category. 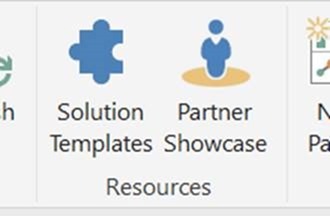 Solution Templates and Partner Showcase quick access: Solution templates let you use a wizard to very quickly and easily create a working end-to-end enterprise-ready Power BI solution. The Partner Showcase lets you browse our certified partners, see their work, and reach out if you are interested in working with them.